I’m not even sure why Goodwill was open on January 1st. Seemed wrong, but as they were having a 35% off sale in the morning, I decided to take advantage of it. I wasn’t the only one. When the doors opened 10 of us swarmed in. It’s always interesting to see the first places folks scurry to. One guy headed over to the video-game cabinet, another to electronics, others dove into the aisles of clothes and a few of us headed for the dishware section. My fav section. And the shelves were packed. A good sign! 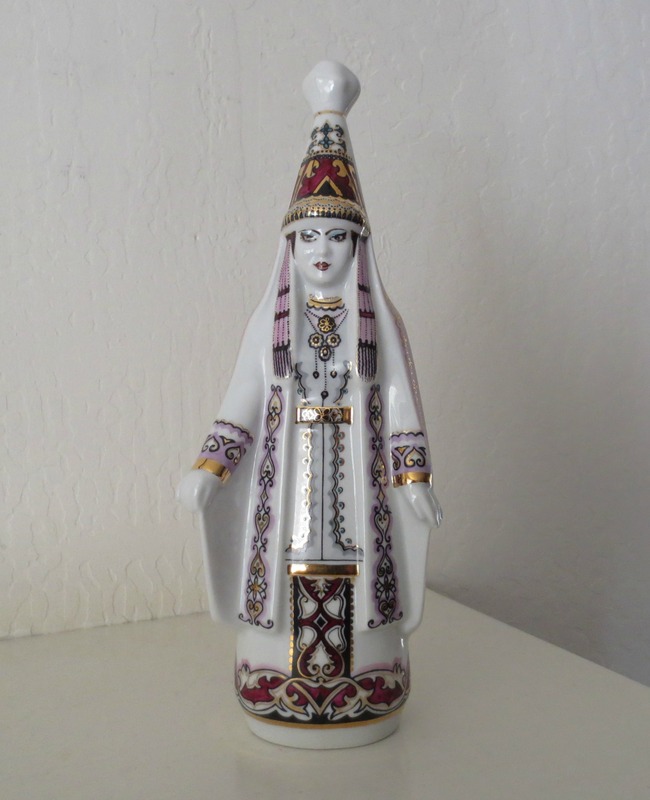 First in my basket was this ceramic figurine in tribal dress from Kazakhstan. 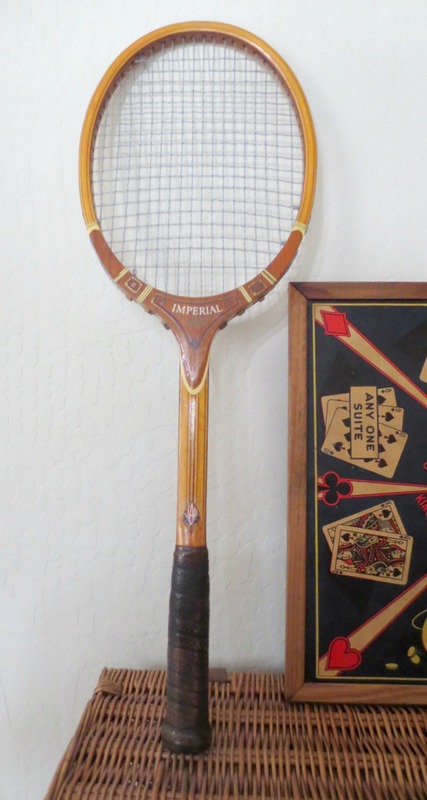 She’s a beauty and frankly I’ve never even seen anything from Kazakhstan before! (I mean honestly have you??) You can see the Russian influence. I also found a big Lavorazione arte murano (made in Italy) glass centerpiece. It still has its sticker of authenticity. 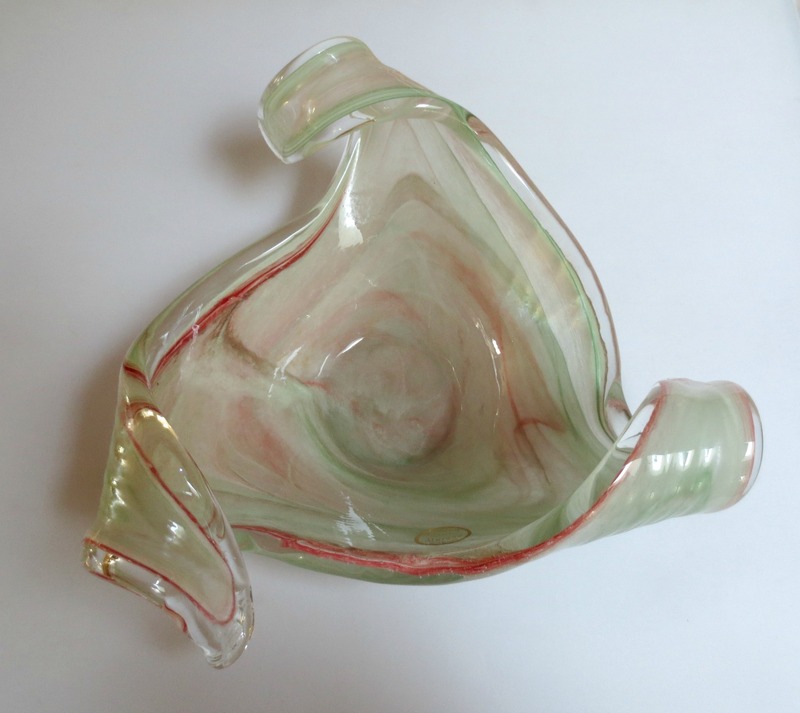 This is not a super high-end piece, but still it has this weird/cool vibe and it is real murano glass. So, not a huge haul, but a good one. A good beginning to the hunting-for-vintage year. How about you? How’s your year starting?? postcards not vintage but certainly retro- right up my street! I think they’re fab.